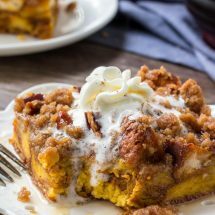 Baked French Toast is about as easy as it gets, and this Pumpkin Pie French Toast Bake, made with sweet Hawaiian Bread, pumpkin pie filling and pecans, is perfect for a fall brunch or even Thanksgiving breakfast. It smells absolutely amazing and tastes divine. Even my incredibly picky, pumpkin-hating daughter had seconds! I could eat breakfast all day long, and French Toast is by far my favorite breakfast to indulge in. I’ve recently started making Baked French Toast, and it’s quickly become my favorite method. 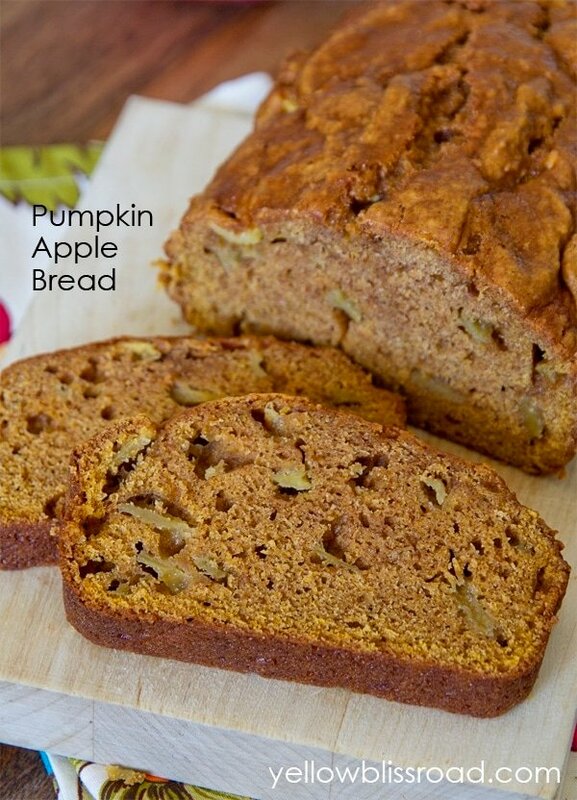 Typically you would mix it up and refrigerate overnight, then bake it in the morning. But with this version thankfully it’s not required; besides, I’m not organized enough to plan breakfast the night before! That’s why I love this recipe. You can make it ahead or roll out of bed and get it started. I vote for the latter but that’s just me. 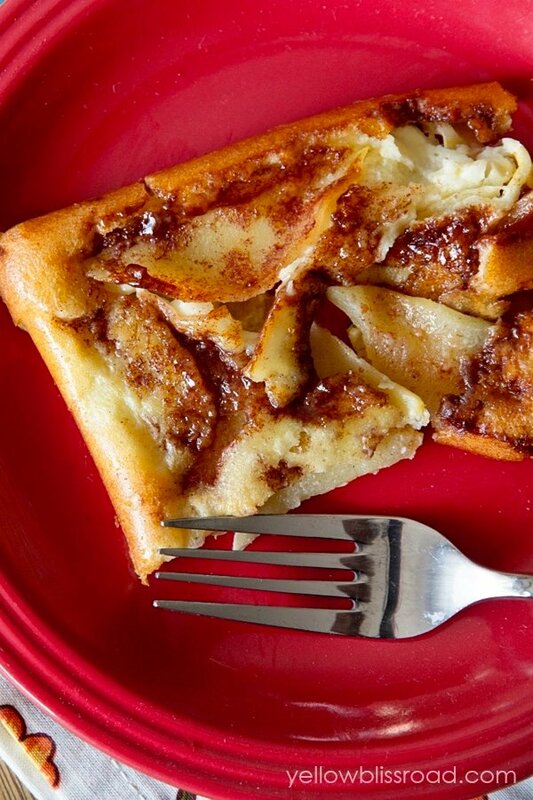 This baked french toast recipe is made a little more special using Hawaiian bread instead of regular french bread. It adds a subtle sweetness to the whole dish. If you can’t find the round loaf at your store, a package of 12 Hawaiian Rolls or a regular sandwich loaf will do the trick. 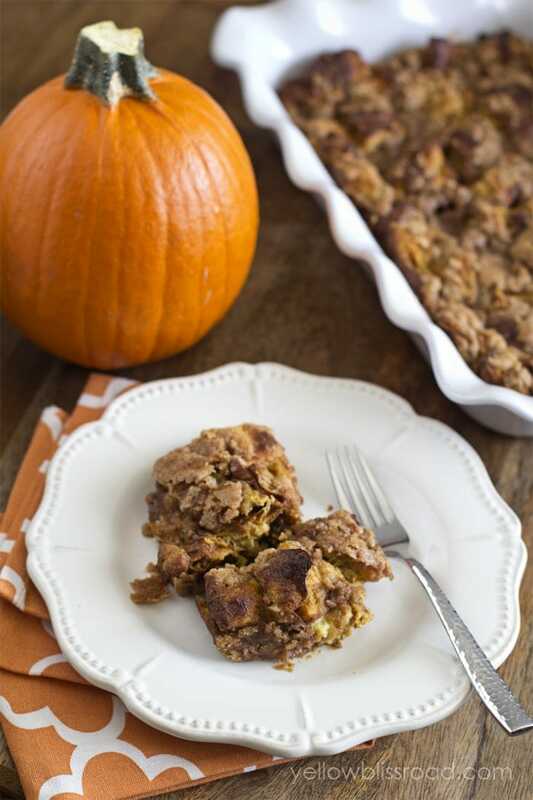 Cut a whole round loaf into cubes, and coat it with a mixture of pumpkin puree, milk, eggs and pumpkin pie spices then put that into a large casserole dish. 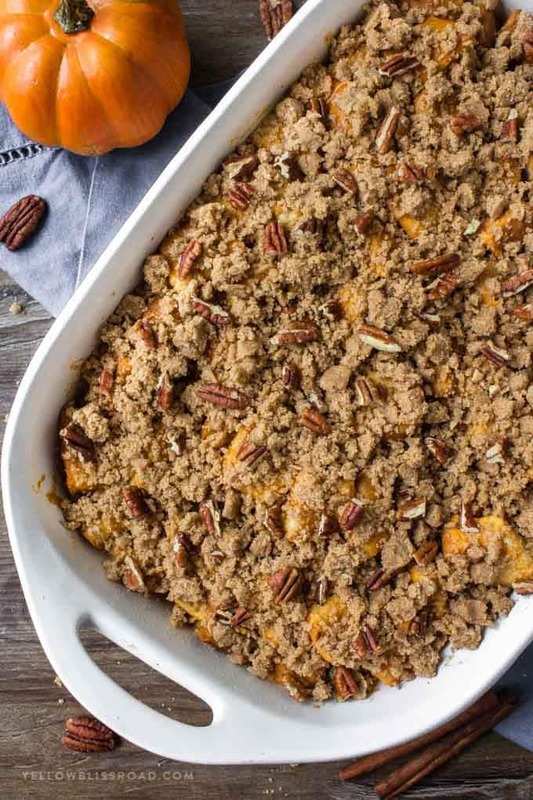 Sprinkle a crumble of butter, cinnamon, flour, brown sugar and pecans over the top and bake for 40 minutes. During which time you can take a shower and get ready for all the neighbors who will be knocking on your door wanting to know what smells so amazing. I added pecans as an optional ingredient because we have nut allergies in our house so I’m sure other do to. 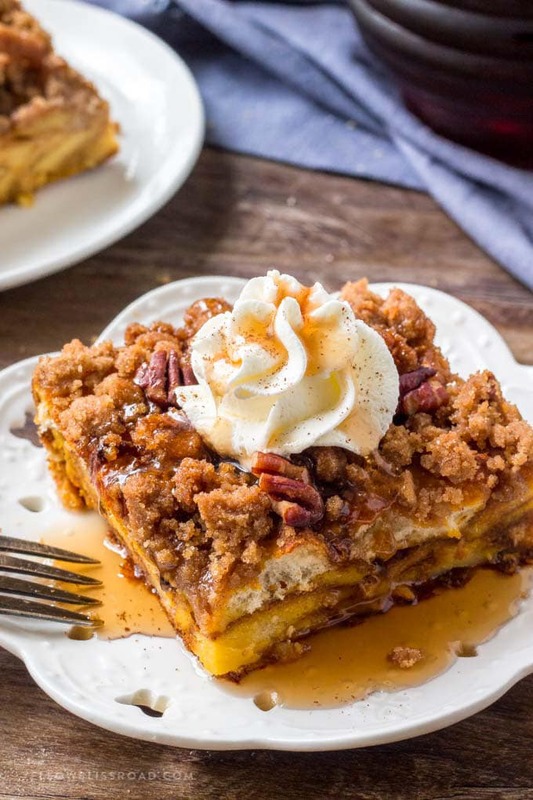 The pecans add a nice texture to this French Toast Bake but omitting them will not ruin the dish in the least. 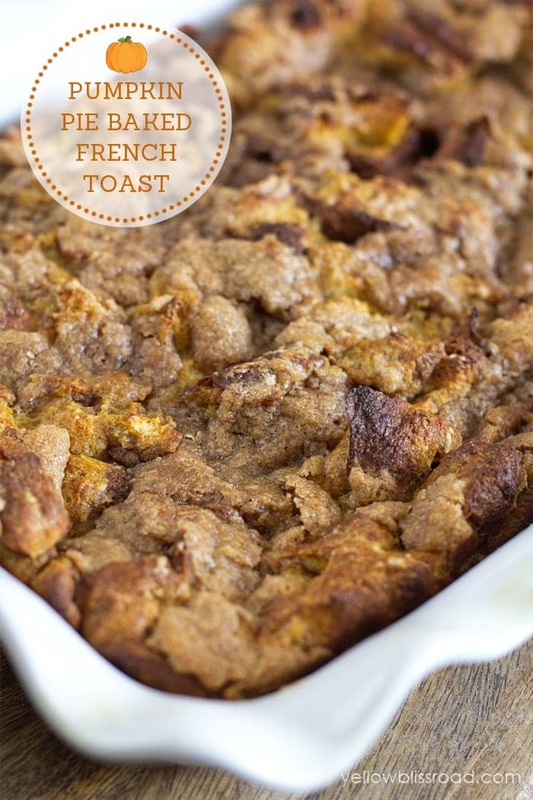 THIS FRENCH TOAST BAKE IS NOT AN OVERNIGHT RECIPE! You might find that a lot of French Toast Bake recipes require the casserole to soak in the custard bath in the fridge overnight, and if you’re using regular french bread that is a good practice. However, I have found that Hawaiian Bread is more soft and moist than other breads so it quickly will soak up the custard and you’re good to go without a long soak! Time-saver? Check! For all breakfast recipes, go HERE. For all recipes on the site, go HERE. 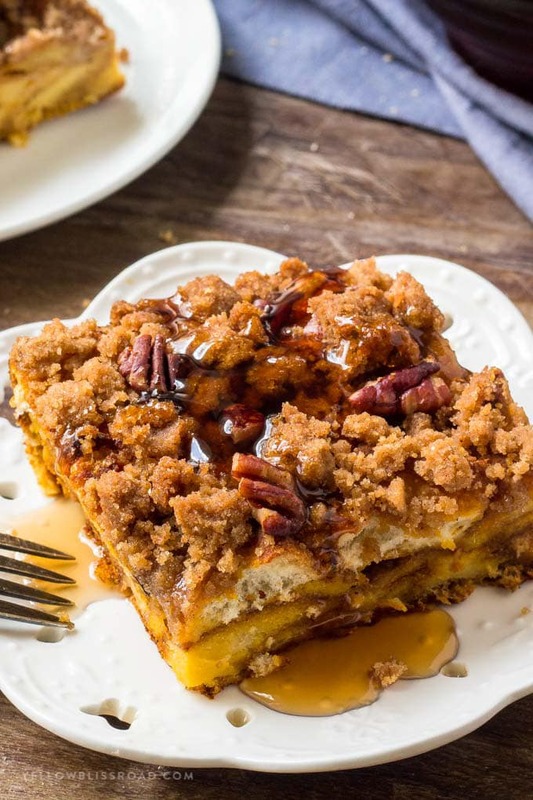 Baked French Toast is about as easy as it gets, like this Pumpkin Pie French Toast Bake, made with sweet Hawaiian Bread, pumpkin pie filling and pecans. Preheat oven to 350 degrees. Spray a 13" x 9" pan with cooking spray. Cut bread into 1 inch cubes and set aside. 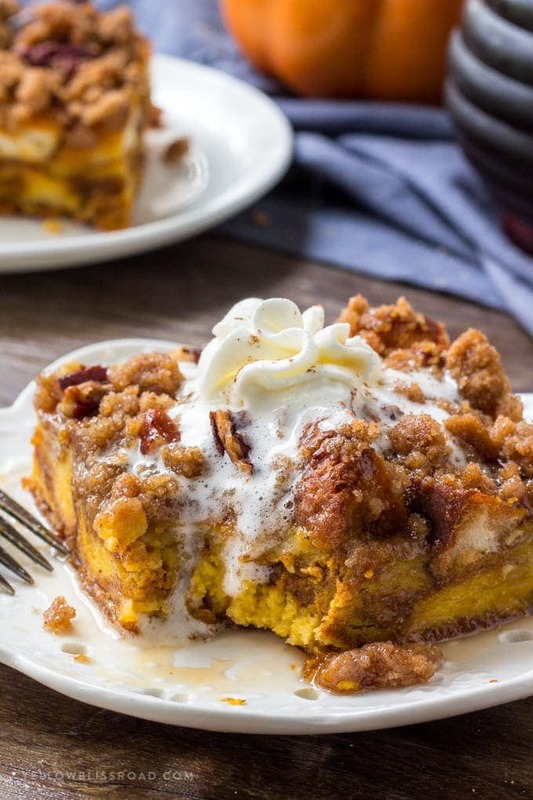 In a large bowl, whisk together canned pumpkin, milk, eggs, vanilla and pumpkin pie spice. 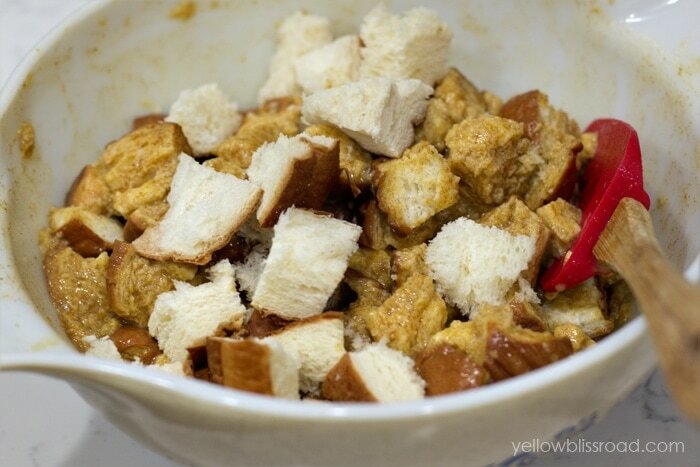 Gently stir bread cubes into the pumpkin mixture, just until all of the cubes are coated. Pour bread and pumpkin mixture into a 13" x 9" pan and spread evenly. In a small bowl, mix cold butter, sugars, flour and cinnamon using a fork or even your fingers until it resembles coarse crumbles. Sprinkle over bread mixture. Bake for 40-50 minutes or until top is nicely browned and french toast is set. Can I substitute a loaf of French bread? Sure, that would work well, just wouldn’t be as sweet. YUM! We have company coming for the weekend and I know what I am serving Saturday morning now. 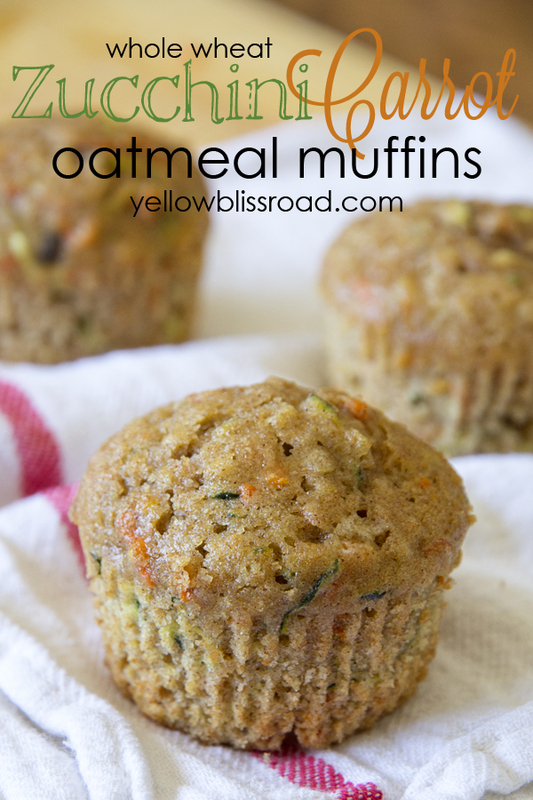 I know it is sometimes scary to try a new recipe for company, but this one looks easy and soooo good! Then I may just give it another try on Thanksgiving morning to enjoy while we watch the parade. Perfect! Thank you!!! I love this recipe! There are so many great flavors to try in the fall! 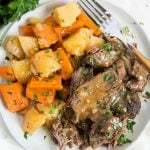 I love this recipe I need to try it! I love everything pumpkin. But I have to ask about about those plates, where did you get them? Thanks Gabrielle! The plate is part of a set I got at JCPenney about ten years ago. Chris Madden is the brand.